GoWild Casino has been around for quite a while now, being established in 2008. 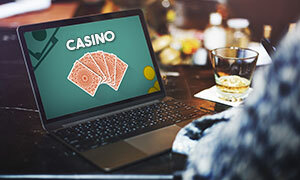 In the decade that it has been active, the casino has built a reputation for integrity and for delivering a great online gambling experience. GoWild Casino is powered by some of the most respected software providers, namely Microgaming, NetEnt, Evolution Gaming, Betsoft, Play’n GO and several others. As a result, GoWild Casino has been able to put together an immense selection of games that includes upwards of 700 unique titles. 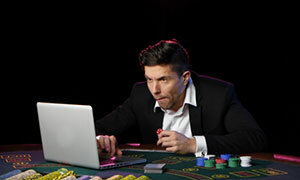 With so many games to play, one has to wonder if there is really the need to look at other online casinos. This gambling website offers all popular casino game genres, such as slots, roulette, blackjack and other table games, video poker and live dealer games. The sheer variety is outstanding and it certainly deserves to be commended. But if the gaming library is not enough to impress you, then you should certainly consider joining for the promotions. The Welcome Bonus, in particular, is quite generous, allowing you to claim up to £333 on your first deposit. The casino will match the sum of your deposit 100%, which you can use to any of the available games. If you wish to withdraw this bonus, however, there are certain rules that you have to follow. For one, the minimum deposit that qualifies for this promotion is £20.00 and it must not be made via Neteller, Skrill or Paysafecard. Moreover, you have to fulfil a 35 times wagering requirement on the combined amount of the bonus and the deposit. You have 7 days from the date of claiming the bonus to fulfil the wagering requirement, otherwise, you will forfeit it. Additionally, while wagering the bonus, your bets must not exceed £5.00 or more than 20% of the value of the bonus. In the end, it should be mentioned that bets placed on some games contribute more to the wagering requirements. For example, betting on slot games will contribute 100% to the requirement, but placing the same amount on any table game will contribute just 10% to the requirement. There are also certain games which are excluded from the wagering process. There are also additional promotions which you should take advantage of at GoWild Casino and the Welcome Bonus is but the first that will come your way. Where banking options are concerned, you will find that you have many different ways to go about controlling your online bankroll. GoWild Casino supports a large variety of payment services, ranging from credit cards to eWallets and prepaid cards. All supported deposit methods can provide you with instant transactions, allowing you to immediately start your favourite games. Moreover, many of them can also be used to withdraw your balance when you are done. GoWild Casinos supports Visa, MasterCard, Skrill, Neteller, ecoPayz and Paysafecard, among other services. If or when the time comes for you to need assistance, be sure that you can always rely on the competent customer support team to help you solve any and all problems that might arise during your stay with the casino. GoWild Casino gives you multiple solutions via which you can establish contact with the support staff. Live chat is the quickest and most efficient, though you also have the option to write an email or send a letter if that is your wish. Minimum Deposit/ Withdrawal The minimum amount that you can deposit to your GoWild Casino balance is £20, while the minimum withdrawal amount is also £20. 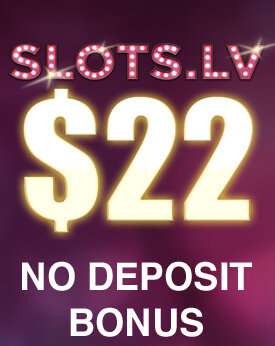 No Deposit Bonus At this time, GoWild Casino does not offer any no deposit bonuses. Welcome Bonus The Welcome Bonus at GoWild Casino is a deposit match of 100% up to £333. The promotion comes with a wagering requirement of 35x the combined amount of the deposit and the bonus. New customers only, £5 max bet with bonus funds. Does not apply to Neteller, Skrill or Paysafecard deposits. 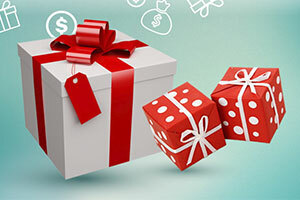 Regular Bonuses GoWild Casino offers regular promotions for each day of the week. 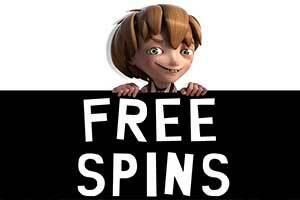 These include free spins and deposit bonuses. Loyalty Programme GoWild Casino runs a Loyalty Programme for dedicated users. For every wager placed, users earn points which can later be redeemed for bonus cash. 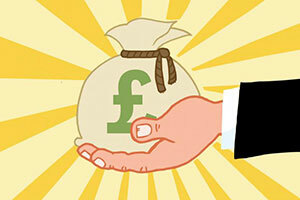 Points are redeemed in increments of 500, which results in £5.00 in bonus funds. There are four different account standings and as the user rises through the ranks, they will accumulate points faster. Software GoWild Casino is powered by a variety of top-tier software providers, namely Microgaming, NetEnt, Evolution Gaming, iSoftBet, Yggdrasil Gaming, Pragmatic Play, Betsoft and Play’n GO. Popular Jackpots Among the popular jackpot games at GoWild Casino you can find King cashalot, Lots a Loot, Neon Reels, Super Lady Luck, Mona Lisa Jewels and more. Game Types GoWild Casino offers several popular game types, including slots, roulette, blackjack, video poker and arcade games. Live Casino At GoWild Casino, you can find a full-fledged live dealer games section, made up of all of the imporant table game genres, such as roulette, blackjack, baccarat and casino hold’em. Deposit Methods Deposit methods at GoWild Casino include Visa, MasterCard, Skrill, Neteller, Paysafecard, Trustly, and ecoPayz. Currencies GoWild Casino accepts payment in the following currencies: AUD, CAD, EUR, USD, NOK, and SEK. Languages GoWild Casino is available in English, Finnish, German, Italian, Norwegian, Spanish and French. Support GoWild Casino has extensive customer support, offering communication via live chat, email and physical mail. Licenses GoWild Casino is licensed by the Malta Gaming Authority. The gaming library at GoWild Casino is nothing if not extensive. By choosing to play here, you will not be making a mistake. Since the casino is powered by a large number of software providers, which directly results in a massive selection of games. In fact, GoWild Casino offers more than 500 unique titles which you can play to your heart’s content. Moreover, you will be able to play the games without the need for any additional preparation. The website is built in such a way so as to allow you to load the games directly in the window of your browser. Mobile users can also accomplish the same thing on their smartphones or tablets. The slots selection at GoWild Casino makes up the bulk of the gaming library and you will have a lot of options when choosing a game is concerned. There are so many titles in this section that it would take you weeks to try them all out. With such a large number of games, it could be difficult for you to make a decision about what to play. To make it easier for you, we would like to give you some examples of the better games featured at GoWild Casino. Firstly, going by users’ opinion Starburst, Celestial King, Samurai Ken, and Raging Rhino are among the most popular slot games. If we separate the games by theme and aesthetic, we can wholeheartedly recommend the games based on mythological figures, such as Zeus III, Avalon II, Thunderstruck II, and Pyramid: Quest for Immortality. Asian-themed titles are also engaging and you will have at your disposal Koi Princess, Win Sum Dim Sum, Serenity, and Golden Dragon, among others. 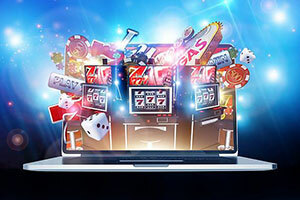 Moreover, certain software providers like Microgaming are very keen on developing branded slots and the public cannot seem to get enough of them. If that is something you would enjoy, GoWild Casino offers Hitman, Hellboy, Tarzan, The Phantom of the Opera, Highlander and more. GoWild Casino’s slots library is something to behold and its sheer scale makes it difficult to describe in short. Therefore, we recommend that you personally have a look at what the casino has to offer. GoWild Casino appreciates its roulette player base and seeks to meet their needs to the best of its ability. Therefore, it has included an extensive portfolio of roulette titles that is made up of the most popular roulette variations on the Internet. The games feature in it are mostly developed by Microgaming and NetEnt, which says enough about their quality. 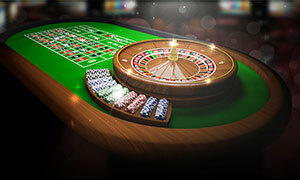 In the roulette selection, you will find all three of the classic roulette variations – European, French and American. The French variation comes in several different versions, based on the betting limits, making it suitable for both high rollers and casual players. 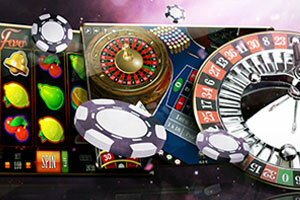 Premier Roulette is also an excellent variation of the game courtesy of Microgaming. It is characterised by the excellent visuals and how engaging it is to play. Moreover, it comes with pretty wide betting options, allowing for bets between £0.25 and £1,000. Similarly, European Roulette Gold offers you the traditional roulette experience, following traditional European rules and betting limits from £1.00 to £80.00 per spin. Mini Roulette is an interesting take on the genre, presenting it in a miniature version. The wheel features only 13 pockets, 12 alternating red and black ones and a single green pocket for the zero Payouts have also been adjusted accordingly to match the new odds. The game comes in two different versions, one with low betting limits and a standard type. The blackjack selection is certainly impressive and there are several dozens of titles for you to enjoy. 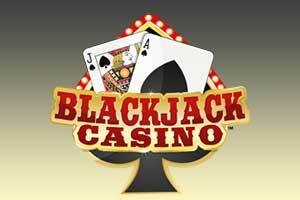 Users will be treated to a wide array of blackjack sub-genres, each unique in its own way. There are certain games that stand out from the rest, for example, NetEnt’s Single Deck Blackjack Professional Series. This variation is played with a single deck of 52 cards, which significantly pushes the odds in your favour. Additionally, a blackjack hand still pays the traditional 3:2 ratio and the Insurance payout is 2:1. This game comes in three different versions, Standard, Low and High Limit. Betting limits range from £1 to £40, £0.10 to £5, and £25 to £500 per hand, respectively. Alternatively, you can play a few hands on Microgaming’s Atlantic City Blackjack Gold. This is one of the fairest blackjack games out there, with a house edge no more than 1%. It follows standard Atlantic City rules, making it highly appealing to all involved. A blackjack hand pays 3:2, while Insurance is still 2:1. Betting options are quite wide, allowing players to wager anywhere between £1.00 to £200 per hand. If neither of these examples suits you, do not worry, as there are plenty more blackjack titles to try out at GoWild Casino. More specifically, you will find Blackjack Double Exposure, Blackjack Professional Series, Mini Blackjack, Vegas Strip Blackjack and more. Video poker is a fantastic game for anyone to play and there are multiple great video poker titles at GoWild that will suit you just fine. Jacks or Better is one of the most prominent variations of the genre and it is one of the best options at GoWild Casino. Jacks or Better receives its name from the minimum qualifying hand of a pair of Jacks. This variation of the game comes in the full 9/6 version, which means that it certainly worth your money. Up to five coins can be wagered on each hand, while the maximum payout goes as high as 4,000 for a Royal Flush. Aces and Faces is a variation of video poker where the highest paying combinations include the ‘face’ cards and Aces. Aces and Faces by Microgaming is one of the best iterations in the genre and you will certainly have a great time playing it. This game features the full-pay 8/5 table and you can win up to 4,000 coins for scoring a Royal Flush. Of course, there are other offerings at GoWild Casino such as Tens or Better or Joker Poker, which are highly entertaining and can provide you with an excellent experience. The progressive jackpots at GoWild Casino may be the one section where the casino does live up to its name. Despite being powered by Microgaming and NetEnt, among others, there are hardly any of their high-profile jackpot games. These two companies are known for their top-tier progressive slots and GoWild Casino does not make an effort to include any of the popular ones. The jackpot selection at GoWild Casino is primarily made up of iSoftBet progressive slots, though it does include two relatively minor Microgaming jackpots – King Cashalot and Lots A Loot. However, despite the lack of any high-profile jackpots, the progressive games of iSoftBet are certainly entertaining and enjoyable to play. Kobushi is a fun and lighthearted progressive slot themed around sushi. It comes with all important features of a modern slot, such as Wild, Scatter and Bonus symbols, each of which has different interactions with the general gameplay. There are 30 paylines laid out across the five reels. The game allows you to wager up to five coins on each payline, with the value of each coins varying between £0.01 and £1.00. As a result, the maximum bet in the game is £150.00 per spin. The progressive jackpot can be won during the Bonus Kobushi round. 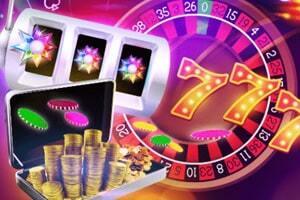 Neon Reels is another interesting progressive slot by iSoftBet that you should consider. The game is a combination of Tron-themed graphics with the fruit machines of old. With 5 reels and 25 paylines, Neon Reels has very decent betting limits. You can wager up to 10 coins per payline, each with a value between £0.01 and £1.00. This brings the maximum wager up to £250.00 per spin. You can win the progressive jackpot by spinning five Wild symbols on a single payline. There are more progressive slots that you should consider, namely Super Lady Luck Ultimate Super Reels, Mona Lisa Jewels, and more. While the progressive jackpots are not too special, the live dealer section certainly is. GoWild Casino hosts some of the best live dealer games on the market. Here, you will have the opportunity to play several all-time classic table games in a true casino environment. This includes roulette, blackjack, baccarat and casino hold’em. There are multiple tables for each game, designed for a specific type of player. While the tables are too much for us to list them all, allow us to make clear that GoWild Casino has made sure that both casual players and high rollers will feel great when playing their live dealer selection. Certain tables have a low starting bet of £0.50, whereas other only accept wagers of £250 and above. Everyone is welcome at GoWild and you should certainly take this into consideration. Which government institution regulates GoWild Casino? GoWild Casino is licensed under the terms of the Malta Gaming Authority. This government agency is responsible for all gambling operations based in the jurisdictions of Malta. The MGA ranks among the most respected regulatory bodies in the world and the websites under their control have thus far proven to be perfectly reliable and safe to play at. Will my personal and banking information be safe with GoWild Casino? As any legitimate online casino, GoWild goes to great lengths to make sure that the data of its users does not fall into the wrong hands. According to the terms of the MGA, GoWild needs to have the capacity to safely store and handle sensitive information. The casino employs procedures according to the industry’s standards to make sure that your data remains safe where it is. Are there any fees for depositing or withdrawing funds? GoWild Casino makes a point of not forcing its customers to bear the cost of transactions to and from the casino. 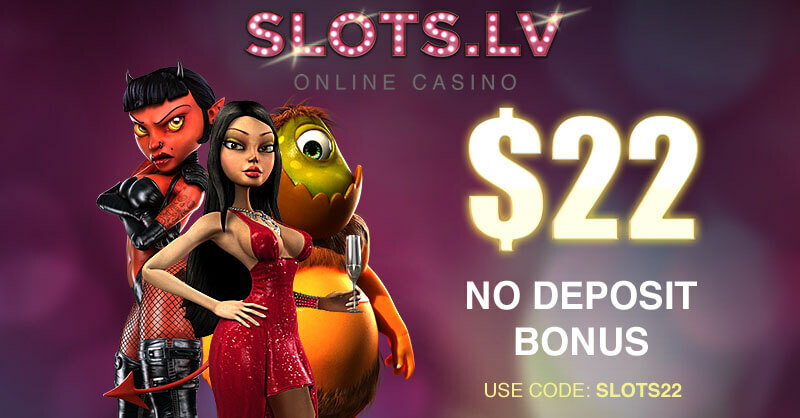 All deposits and withdrawals are completely free where the casino has a say. However, depending on your payment method, there may be some fees imposed by the service provider. These may or may not be avoided, but in any case, they have nothing to do with GoWild Casino.